Photo Friday: Dog travel pictures wanted! Merry Christmas! 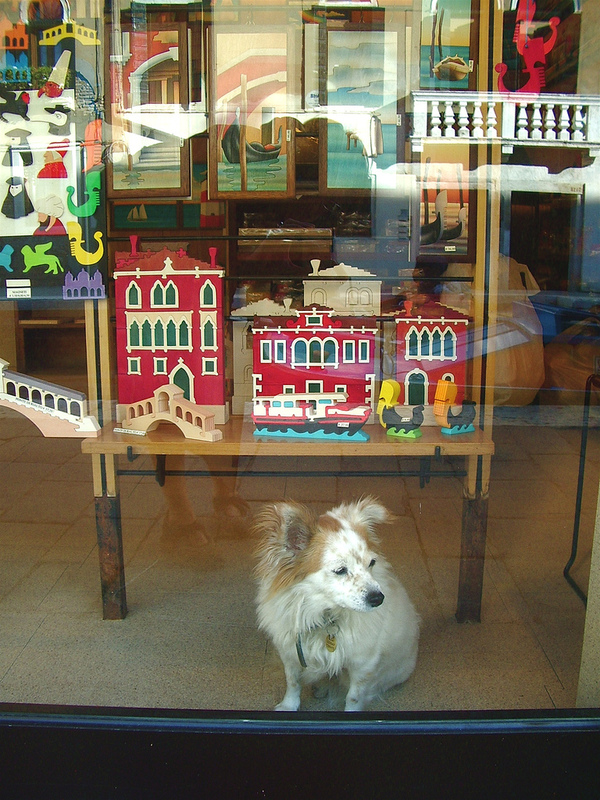 Today’s picture is of a retail dog in a Venice shop window — love the ears (and the terrific Grand Canal playset over his head)! On Friday you post a dog travel photo on your site. If you don’t have a site, post your photo to Flickr (or Facebook!). If you’re writing a blog post, link back here to the current week’s “Photo Friday” post so that your readers can see other great dog travel photos. Enter a link to your page or your blog post in the form at the bottom of my post. That way, Dog Jaunt will link back to you. Please include a few words in the “Link Title” box describing where you took the photo.